The Poverty Stoplight is a method, developed by the Paraguayan NGO ‘Fundación Paraguaya‘. 50 indicators ranked with the colours of a stoplight – red, yellow and green – show the diversity of poverty in its different aspects and facets. Therefore, the method helps individuals and families to identify the various dimensions causing poverty. Furthermore, the families are equipped to fight these problems step by step. The cycles in which the Lemonaid & ChariTea Foundation travels to its different projects begin in fall and continue up until spring the following year. This is why travellers of the Lemonaid family packed their bags again in October 2018. Together with one of the foundation’s project coordinators, Hanna, they began their journey to Paraguay. One day long, they joined the Fundación Paraguaya and got to know another kind of fight against poverty. 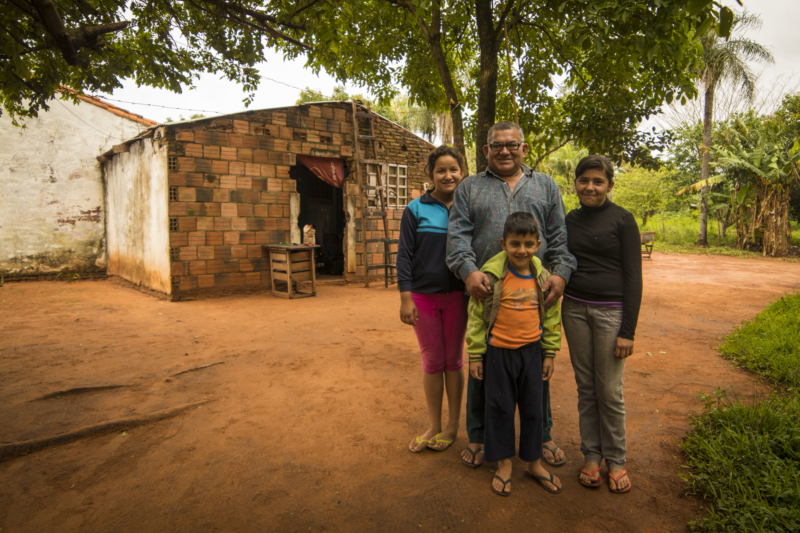 The Fundación Paraguaya states that poverty is multidimensional. In conclusion, poverty can occur in various spheres of life: Do I have insurance? Do I live in a house? Do I have running water in the house? Or a regular income? Am I able to send my kids to school? Am I literate, myself? And many more. Is even one of the aspects missing, we talk about poverty. This is how it is manifested in different characteristics and in every part of the world. The manifestations are complex and diverse, furthermore, not easy to grasp, let alone easily changed. When a family has access to running water in terms of having a tap with clean, running water in the house, the indicator is marked green. Is there a well for the whole village or community, the indicator is marked yellow. In this case, yellow means, the water supply is temporarily, but not permanently guaranteed. Does the family have to travel to a river or stream, which often is far away, the water supply is not guaranteed, which is why it is indicated red. This is how participants can mark all 50 indicators. The visualisation of their living conditions makes it easier for people to find out the most relevant problems and which aspects to change first. Furthermore, throughout the village or community, people will find similarities in their indicators to change, which additionally, allows them to tackle a problem collectively. 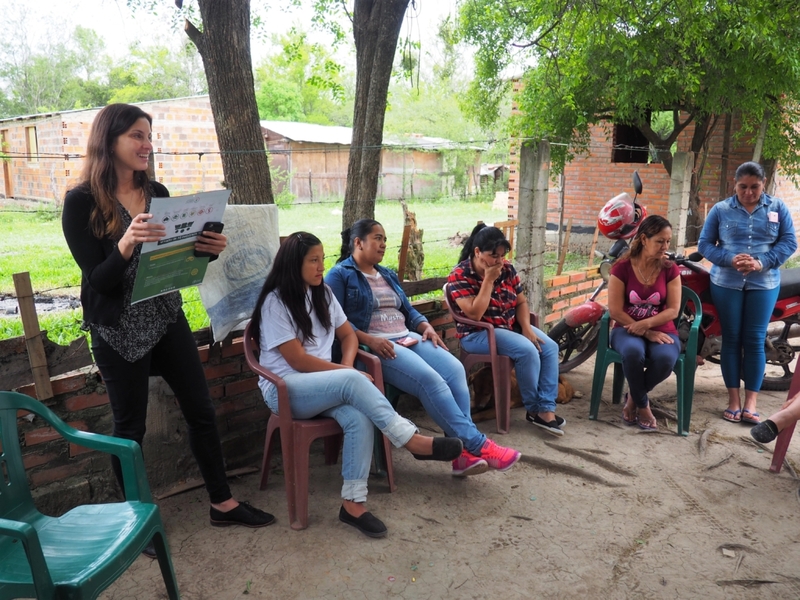 Field workers and volunteers of the Fundación Paraguaya help participants to fill out the Poverty Stoplight and to rank the indicators. Together with the families, they identify shortcomings and plan timescale and nature of the improvement. Those field workers are trained in the implementation of the programme. They are on-site for support. Even for other NGOs the poverty stoplight has its value. With the implementation, they are able to realistically document and remedy shortcomings, simultaneously. Furthermore, they are able to close community-need gaps by using geo-referenced information for each indicator. At this point, the Poverty Stoplight is even available as an App. Therefore, next to the printed version, a lot of information is digitalised right away. The cooperation between the Lemonaid & ChariTea Foundation and the Fundación Paraguaya is interesting at various levels. For instance, methods and ideas like the Poverty Stoplight is what makes working with our partners so educational and exciting. The Poverty Stoplight is not only helping to identify and overcome poverty. Furthermore, it turns the perspective on people from “being the ones in need of help” to “being the ones, who change their lives autonomously”. In other words, with the right tool and appropriate steps, everyone is capable to overcome poverty in his or her personal live and environment.